A big sticking point for interviewees is discussing why they are leaving their current role and/or why they left their previous roles. Leaving a job on bad terms can make your job search more challenging but not impossible. Naturally is best to aim to leave on good terms and with a great reference. It is also better to secure a new role while still working as it takes the pressure off you and removes concerns with your prospective employers about your abilities and relationships. Many hiring managers believe that “the best people in the job market are currently working” and may need to be headhunted or enticed from these roles. You would like to be added to that category of candidates over the less attractive group of non workers if possible. Try not to make a precipitous move – a well thought out plan is more likely to be the right one. At the very least, sleep on the issue prior to making a final decision. 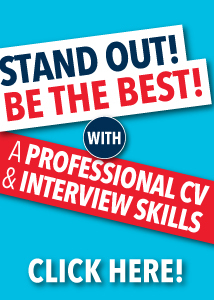 Set up a CV profile on Irishjobs.ie so your visible to recruiters. Register with high quality recruitment agencies. As discussed above, distract yourself by focusing on greener pastures of a new role and check job postings daily. Concentrate on the positive aspects of your role over the negative – for example, what skills have you developed while working there, friendships you’ve made. Perform the tasks assigned to you to the best of your ability so that you can leave on a high. Try and mend any negative relationships prior to leaving. Give your Manager as much notice as possible. Have all your work up to date and accurate so you leave a good legacy. In your resignation letter/meeting, make sure to thank eveyone for the opportunity they have given you and that you valued your time there. Return any company property and leave systems and document passwords with your Manager. Offer that you can be called if they get stuck on anything when you are gone. Be polite and helpful to the person you are doing handover with. Avoid speaking negative about the company or anyone within it. Ask for recommendations on LinkedIn while still in employment if possible. If all the above fails and you have quit or been fired, I have written articles to help you further in these instances. If you feel your employer has breached employment law legislation, then contact the National Employment Rights Authority (NERA) and seek their advice. Written by Gillian Knight, MD of Kala Management Solutions www.kala.ie. We offer consultancy services on all aspects HR including Recruitment and Selection. For further information on our services please mail info@kala.ie or go to www.kala.ie for more details or call 01 619 02 82.